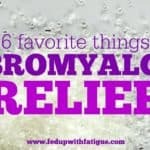 This article about Autoimmune Strong was originally published on NationalPainReport.com. It is being republished here with permission from the editor. This post contains an affiliate link. Exercise is a sore subject (literally!) 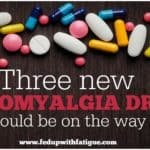 in the fibromyalgia and Lyme communities. That’s why I’ve avoided writing about it for so long. I know a lot of you will agree with me when I say I’m sick of hearing doctors and researchers tell me that I’ll feel better if I just exercise. But I also know, based on the current research, they’re probably right. The problem is when we’re struggling to get the basics done each day, like showering and prepping meals, the idea of taking a power walk around the neighborhood is just ludicrous. Even 10 minutes of yoga is enough to send most of us into a days-long flare. As someone who used to do 5Ks, I really WANT to exercise, but when I’ve attempted it in the past, it just made my pain and fatigue so much worse. (There’s actually a name for this: post-exertional malaise, and it’s a real thing, despite the fact that most doctors have never heard of it.) I learned very quickly that standard exercise programs just don’t work for me. They’re too strenuous and stressful for my body. 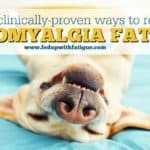 Over the years, I’ve wished there was an exercise program designed just for people with fibromyalgia and similar conditions, and now I’ve found one! Andrea Wool developed Autoimmune Strong after becoming ill with fibromyalgia, Hashimoto’s thyroiditis and celiac following the birth of her second son. Like many of us, she couldn’t find solutions for her health issues within the paradigm of conventional medicine and decided to see if lifestyle changes might improve her symptoms, but that only led to yet another challenge: Most exercise programs are designed for (at least semi-) healthy people and don’t address the physical limitations of living with a debilitating chronic illness. Normal exercise would cause her to crash. Eventually, Andrea decided to devise her own exercise program to heal her body and is now sharing it with others. I’ve watched the first few videos of Autoimmune Strong, and I immediately knew I wanted to share it with my readers. Andrea’s approach is so slow and gentle that I think her program may help those of us (including myself) who want to begin an exercise routine, but don’t have the stamina for traditional workouts. 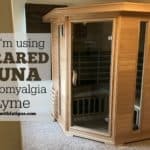 So today, I’m sharing a Q & A with Andrea where we discuss her health struggles, how those inspired the creation of Autoimmune Strong and how her program answers the need for gentle movement within the fibromyalgia and Lyme communities. I hope you enjoy our interview! 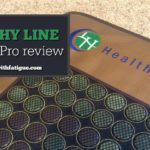 Fed Up with Fatigue: You’ve had a number of health challenges, including fibromyalgia, Hashimoto’s thyroiditis and celiac disease. Can you share your story of chronic illness? Andrea Wool: Almost 6 years ago, I was very sick. I had just given birth to my second son, and I just knew something was really wrong with my body. I was exhausted with mind-numbing fatigue. I was rapidly gaining weight, and I had constant, fiery and intense pain all over my body at all times. I was on maternity leave with a newborn and a 3-year-old at home, and I was completely unable to care for my babies, my household or myself. I needed constant support from my mom and my husband just to make it through each day. Simple everyday things like playing on the floor with my son, or carrying my infant up the stairs, or going to the grocery store would be impossible, debilitating. I spent the days in tears, in incredible pain all over. The exhaustion was intense and overwhelming. I saw many medical doctors, most of whom told me that I was fine. But obviously, I was NOT fine. I was so sick I had to quit my job. I was desperate for anything that could help me get better. I started to look at the things I could control – what I ate and how I moved my body. Over time, I pieced together a food-based healing protocol I thought could work. I started by eliminating gluten, then sugar, dairy, alcohol and caffeine. I started eliminating processed foods and buying only organic produce and meat. Having been an athlete all my life, I knew movement needed to be a part of the healing as well. I hired a personal trainer and started to move again, but it was really tough. I was too weak to do any of the things I used to do, and the workouts we were doing were causing intense flare-ups in my body. I would feel great for a week, and then crushed for two weeks with exhaustion and fatigue. After a few months of this self-designed protocol, I was starting to feel better, and I realized that I was on the right path. But I was by no means back to “normal,” and I needed to know how to get there. I wanted to know what I was missing. So I made a big decision – I decided to go back to school. I became a nutritional therapy practitioner and a certified personal trainer so I could learn more and go deeper into my own healing. Two years into this process, I finally was diagnosed with Hashimotos [thyroiditis], celiac and fibromyalgia, and my doctors continue to be amazed at my personal healing journey using only food and movement. I now hope to inspire others, that they too can create their own healing journey and that they don’t have to suffer in pain forever. Actually, I am feeling great these days. I can’t even believe, looking back at this story, that I am the same person. It has been a slow recovery, and it’s not finished yet. But 6 years later, I am now capable of doing things I didn’t think was possible. I have been able to return to the active lifestyle I used to enjoy. I run, I do yoga and I have recently started to learn how to powerlift. I can deadlift 185 pounds! Not only am I healthy enough to hold down a job, but I am capable of running my own business. But most importantly for me, I can keep up with my boys. They love to run around, and I am totally capable of running around with them. I go rock climbing with them, I can carry them on my shoulders, I play tag, I can tackle them and rough-house, and my body can manage it. They have no memory of a “sick” mom. They only know me as I am today. And for that, I am eternally grateful. 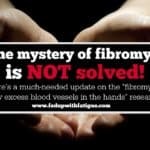 I think all of us with fibromyalgia and similar conditions have been told that we should exercise, but it’s so hard – especially in the beginning because exercise tends to intensify our symptoms. How did you get started and stay motivated to continue? Yes, I have found that with fibromyalgia, as well as other chronic pain issues, exercise is a double-edged sword. Movement is essential, but too much movement can stimulate a flare of the worst kind. It took me a long time to figure out where the balance needed to be. As I shared above, I hired a personal trainer, but she did not understand my body at all. I have found that with most personal trainers and fitness professionals out there, they want you to push your body so you can get stronger faster. “No pain, no gain,” right? Well, I tried that, and it did NOT work for me. Instead, it made me sicker. But as a former athlete, it was hard to wrap my brain around the concept that I needed to SLOW DOWN. Pacing is the most important part of a fitness regime for people with fibromyalgia. Slow, steady and consistent over time is what I believe works the best. I stay motivated because now that I exercise in the right way for my body, it actually does make me feel better! I find that when I feel a flare coming on, exercise can help rather than harm. For me, exercise is now my medicine. It’s not something I do to get “skinny” or work off my last meal. It’s something I do to further my own healing process. If done properly, exercise can help us manage our symptoms and flare-ups. Chronic pain conditions are exacerbated by inflammation, and, if done properly, exercise can help to reduce inflammation. Additionally, the right exercises can teach our bodies to adapt to a pain response, which can help us get through the pain and exhaustion of our daily activities. Our bodies need to learn to be comfortable being uncomfortable. I developed it because I was so frustrated that nobody in the fitness community knew how to handle my body. I spent a ton of time trying to find someone who could help me exercise without a flare-up, and I couldn’t find anyone who even knew what I was talking about. I created this program for myself, and it felt good. So I started using it with my one-on-one personal training clients, and they felt good, too. Autoimmune Strong is the only strength-training fitness program specifically designed for people struggling with chronic pain. The thing that sets Autoimmune Strong apart most is the program design. First, Autoimmune Strong is designed to target specific postural muscles without doing big movements. These movements are effective in building strength, but they don’t trigger stress and inflammation on the body. Second, the pacing of the program sets it apart. Most exercise programs push you to your max. Autoimmune Strong starts off very slow so that your body can adapt properly to the movements so you can progress through the movements without a flare. 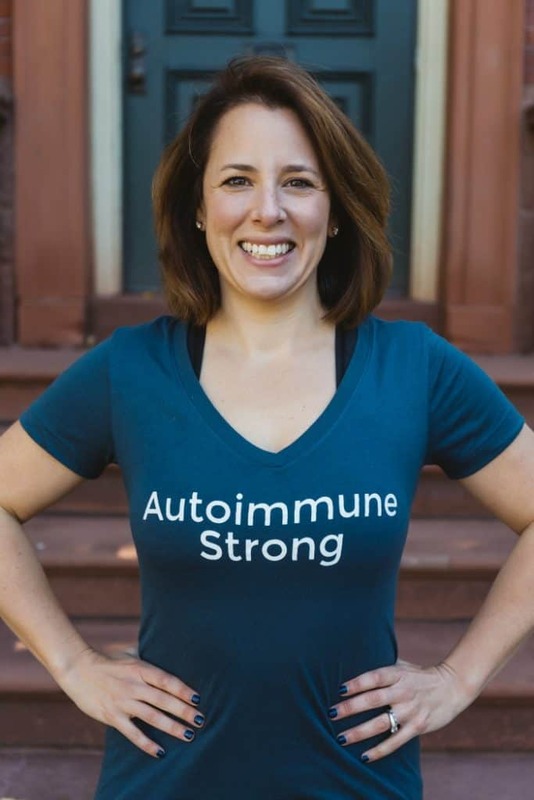 And finally, Autoimmune Strong has a community component, where members can chat with each other in a private Facebook group so we can share our goals, our successes and our struggles. Chronic pain is an invisible disease, and it’s hard for the people around us to understand what we live with. The more we can support each other, the better we will be! I am sorry, but excersize of any kind helps immensly! I have had autoimmune problems for 45 years, and it does help you function at a normal level. Thanks for sharing, this looks like a very interesting programme! Like the community aspect to it too! MY FAMILY DOES NOT BELIEVE IT REAL AND HAS TURNED THEIR BACK ON ME. I AM GLAD I AM OUT IN CALIFORNIA. I HAVE FOUND AN AMAZING PLACE WHERE YOU FIND LOVE SAN MATEO MEDICAL CENTER WITH LOVING PEOPLE WHO BELIEVE YOUR IN PAIN ITS NOT IN OUR HEADS. ITS SO DEALING WITH IT THAT A LOT OF IGNORANCE STILL REMAINS CAN YOU CATCH IT WHAT IS IT PEOPLE START READING. PAIN DESTROYS THE GREY MATTER IN YOUR BRAIN WHEN THE PAIN GOES IT IT COMES BACK AND THE PATH WAYS THAT SEND SIGNALS THEY ARE OPEN ALL THE TIME AND YOUR BODY GETS DESTROYED BY IT. TAI CHI AND MINDEFULNESS, ART THERAPY ARE WAYS TO SWITCH YOUR BRAIN AND TURN IT OFF BUT SOME TIMES MEDICAL HELP IS NEEDED IN THE FORM OF MEDS ALSO. SO TALK TO YOUR DOCTOR AND FIND THE RIGHT SOLUTION TO GIVE YOU RELIEF AND NEVER EVER GIVE UP. WE ARE WARRIORS WE ARE TOUGH. I AM THERE WITH YOU ALL.